Ellery Eskelin is a troubadour. His creative talent has been on display both as leader and member for almost three decades. A warm and enveloping texture to his recordings is always present. On his latest, Mirage, his display an intriguing outback journey that feels like a desert soundtrack. Susan Alcorn's shimming opening chords on "Rain Shadow" forecast a session that is filled with majestic passages and mysterious undertones. Eskelin's notes weave slow a gently around bass and guitar and accentuate the haunting nature of piece. "Saturation" is an rolling improvised piece that while each member seems be moving in divergent directions by midway, a slight melody evolves and then slowly deconstructs. Alcorn and Eskelin play off one another beautifully. There are times when Eskelin's tones sound like late period Ornette Coleman circa the Naked Lunch soundtrack. One of those moments for me was the epic piece "Downburst." 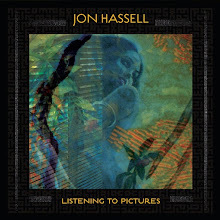 A slow moving blues style ballad mixed with intrigue and experimentalism. Fromanek and Alcorn have silent and introspective conversation throughout. This, while Eskelin's journey moves across like broad strokes of a small paintbrush. Lovely and lengthy. 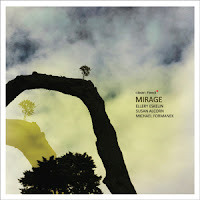 Mirage is document that paints a beautiful and luxurious picture with influence of avant garde, blues and Americana. This, all resulting in an excellent soundtrack for a Summer journey. Enjoy a very deep listen.